Ahh, they tried to sneak one past me! 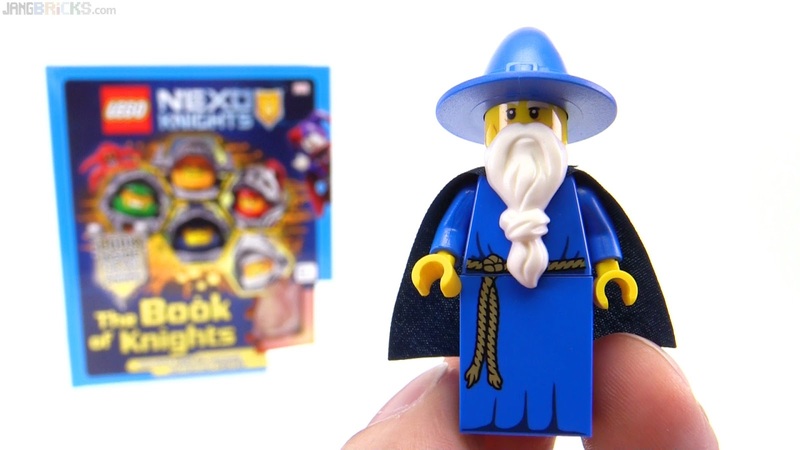 This is such a mean trick, making an exclusive, yet fully official LEGO minifigure that only comes with a book. If you're a completionist, you've gotta go for it. Fortunately these books aren't too expensive or hard to find. Unfortunately in this particular case, the book itself is somewhat forgettable. The figure, though, I'm very happy to be able to collect. 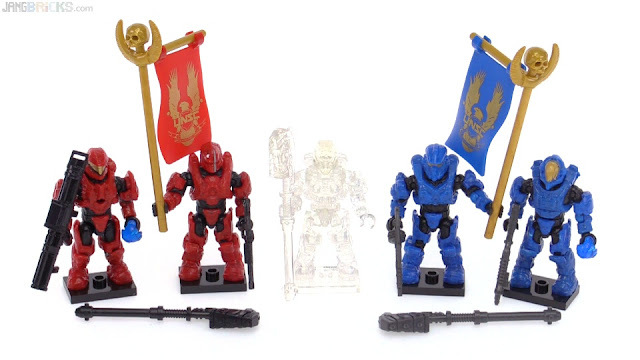 Now they need to do an all trans-orange version, vinyl cape & all! Video: LEGO NEXO Knights exclusive Merlok figure & Book of Knights! 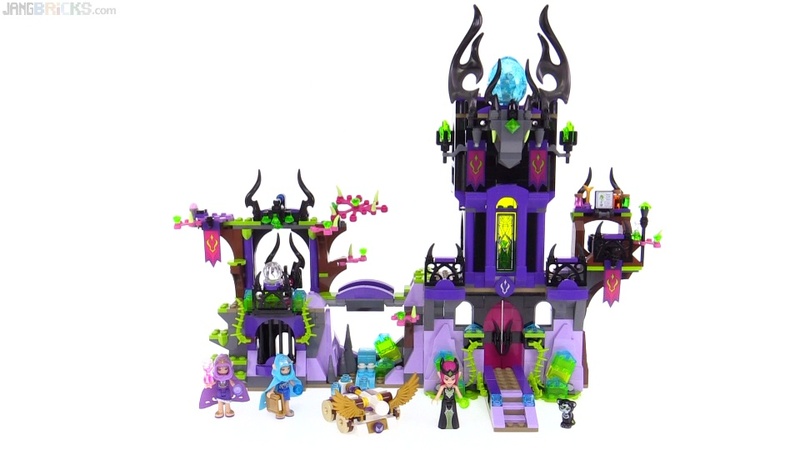 The "Sanctuary" part of this set has a lot small colorful elements, but the entire structure is definitely smaller than I'd prefer. The dragon, on the other hand, is one of the larger in the theme. 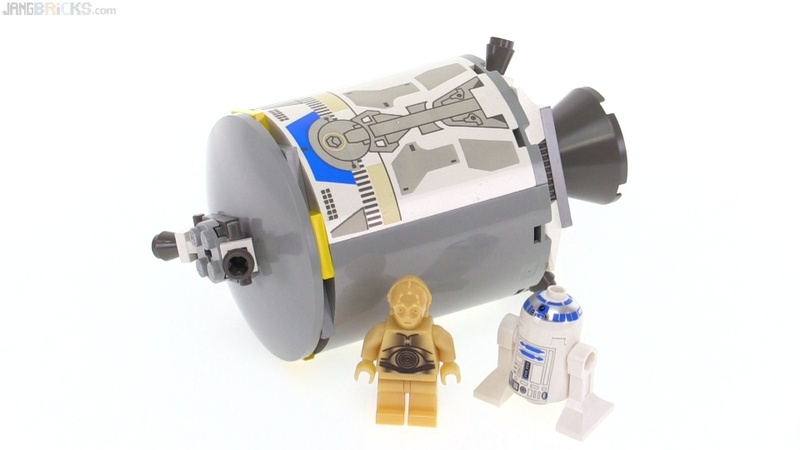 Wow this thing is much smaller than I even expected, tiny even by polybag standards. 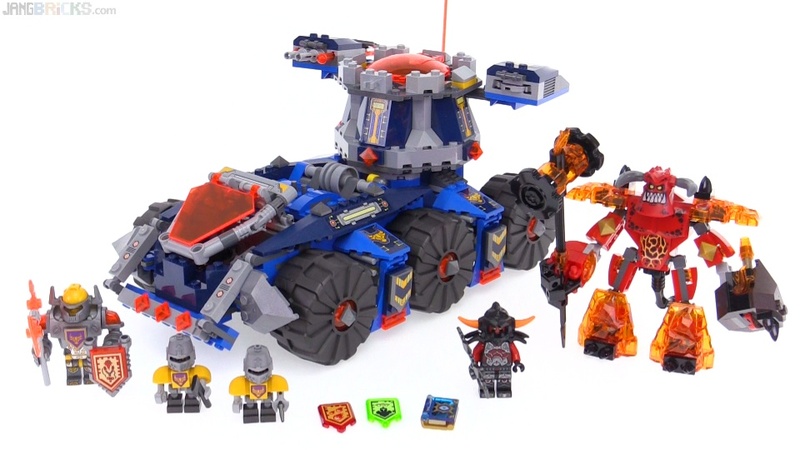 Here's the last of the season 2 NEXO Knights hero vehicles for now. 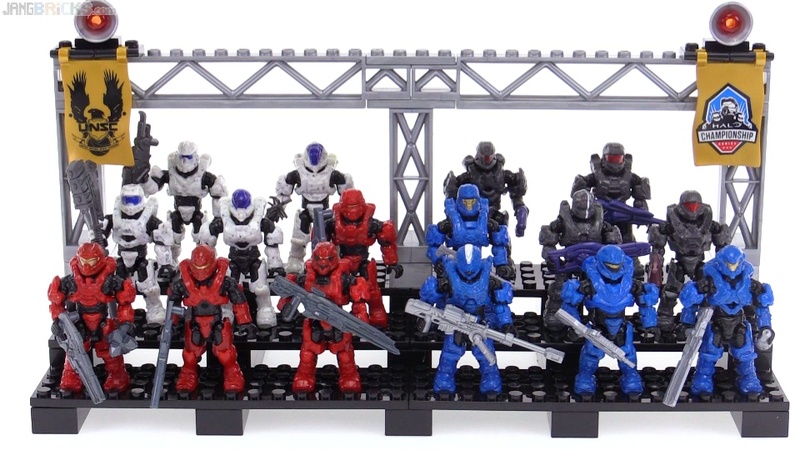 I have just a few "Ultimate" figures yet to review, plus one of the very smallest boxed sets in the series. 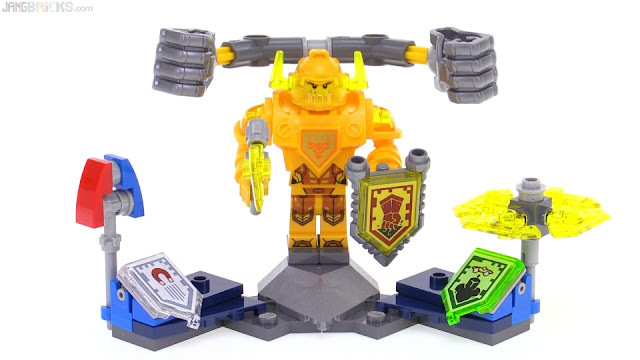 After that, I'll be ready to update my whole NEXO Knights diorama! After another strong push over the past week, I'm finally on the home stretch with this thing. Some elements of my original concept & vision that were lost to the physical limitations of reality have been regained! Given the hurdles I've had to overcome, I do not believe I could be more happy with how things are turning out. Looking forward to the final couple of updates! Yeah this, uh, this is a problem. I don't intentionally collect these things, and in fact, ever since I started reviewing Star Wars sets, I have specifically intended to not collect these things. Nevertheless, here we are. Video: LEGO Star Wars 400+ minifigure collection! Quaint. This is definitely quaint. There's a term I haven't used to describe a set in quite a long time. 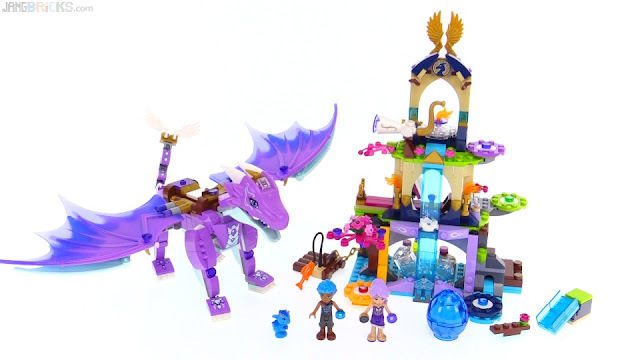 Finally got through the biggest Elves structure set of the season, and now there just remain a couple more sets to cover before I can finally bring together all of the dragons & dragon eggs at once. LEGO NEXO Knights General Magmar's Really Long Set Name review! 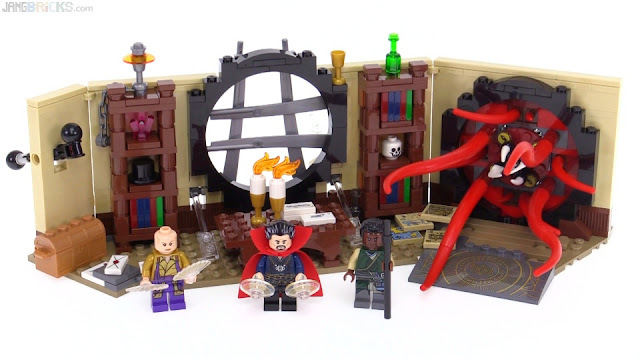 I know I say this a lot, but this truly is yet another set that is much better than I initially expected. I got a strong awkward Chima vibe from pictures with a sense of too-obvious action features and a forced transformative feature. 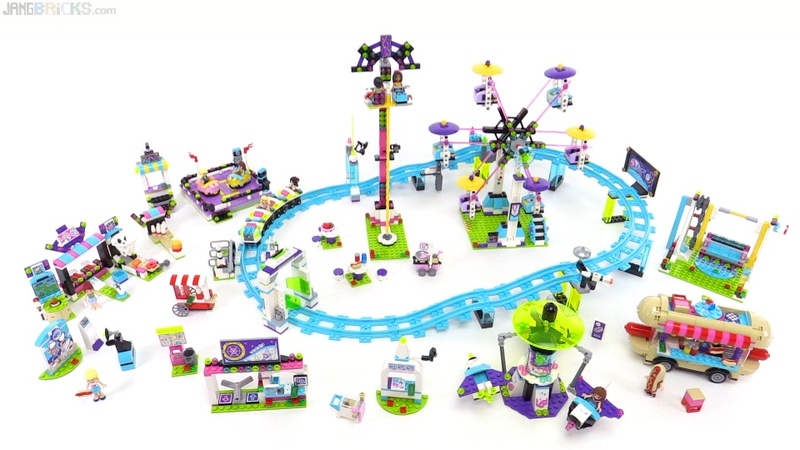 In reality it's all surprisingly slick and natural, a perfect fit for play with other sets & settings from this theme. As promised in the Spirit review, here's a look at all of the really big Mega Bloks halo builds together, with a focus on comparing the Spirit to its predecessors. Funny how my beloved FUD doesn't look so enormous anymore. 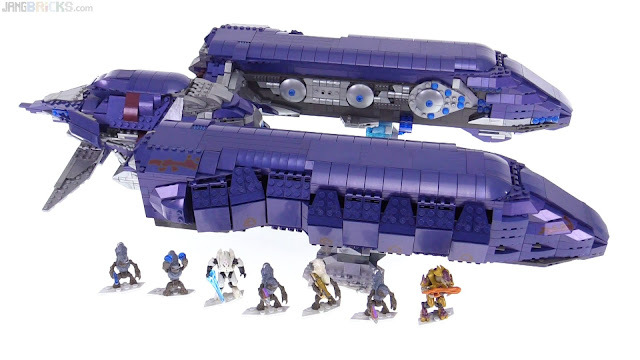 Mega Bloks Halo Covenant Spirit Dropship review! One more major build completed & review produced! Though it doesn't specifically say "Signature Series" on the box, this is the flagship set to anchor the entire 2016 MB Halo lineup. 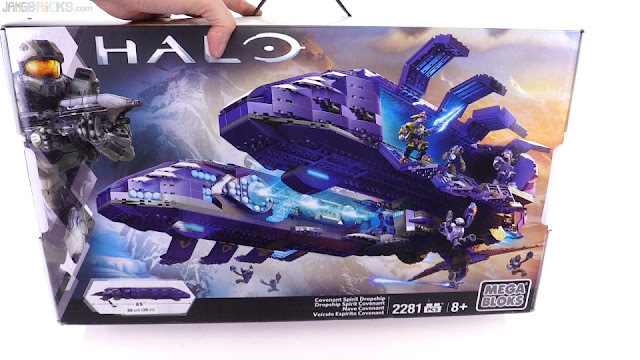 Video: Mega Bloks Halo Covenant Spirit Dropship review! A bit of an enigma to behold, it appears astonishingly solid from the outside, yet it is actually quite hollow. 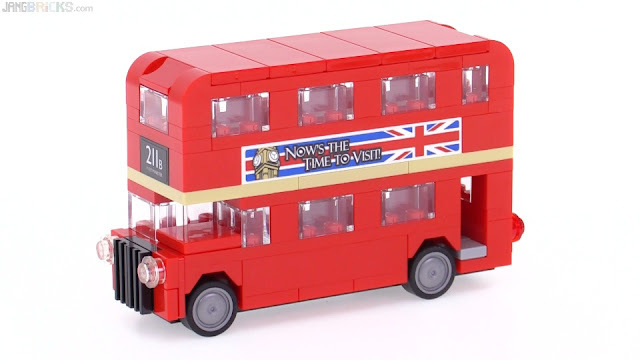 It is structurally sound, yet light in weight. It's good! Just wanted to let it be known that I've gotten the thing because there have been a lot of folks asking about it. 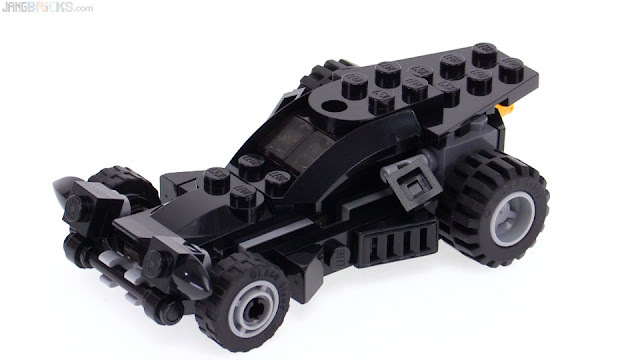 It'll take awhile to sort the parts & build it, though. 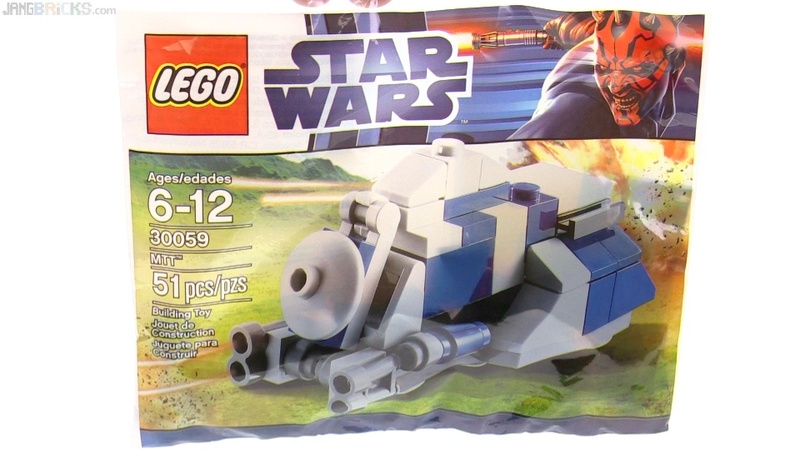 Something slightly classic from the early days of LEGO Star Wars. Compare to the 2016 version! At last, the tour will be complete! Yesterday's updated look at my LEGO parts collection didn't try to go into my minifigure components, as I knew that would be a long endeavor unto itself. Well here it is now, almost another 1/2 hour going through a 4 1/2 foot tall stack of drawers stuffed with trays full of heads, hairpieces, torsos, legs, utensils, & weapons. Grab a snack before you hit play! 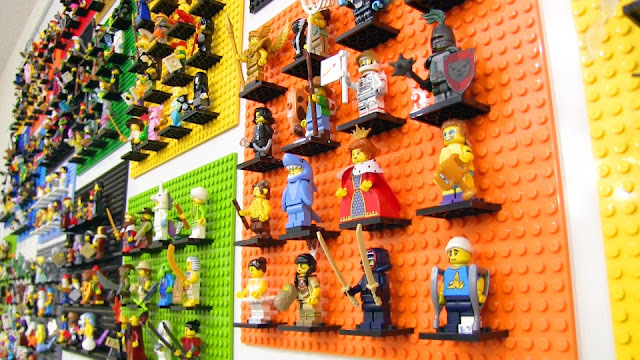 Video: My LEGO minifig construction kit - 1,000s of organized parts! Two years! 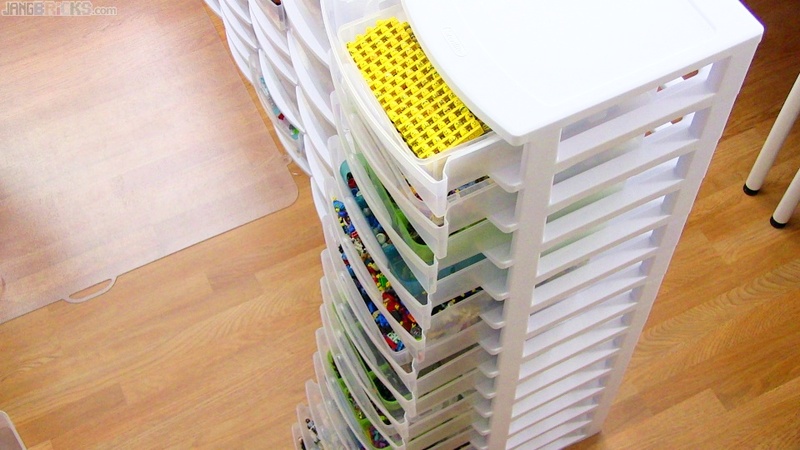 It has been two years since I last opened drawer after drawer of Sterlite bins to show how I organize my LEGO parts. I've moved since then and the collection has grown pretty significantly. Though this video is over 1/2 hour long, I'm moving through things pretty quickly and skip a few of my less convenient containers that are mostly stocked with miscellany. I've also saved my spare minifig & minifig parts collection for a completely separate video so I won't have to feel rushed through that particularly important segment. 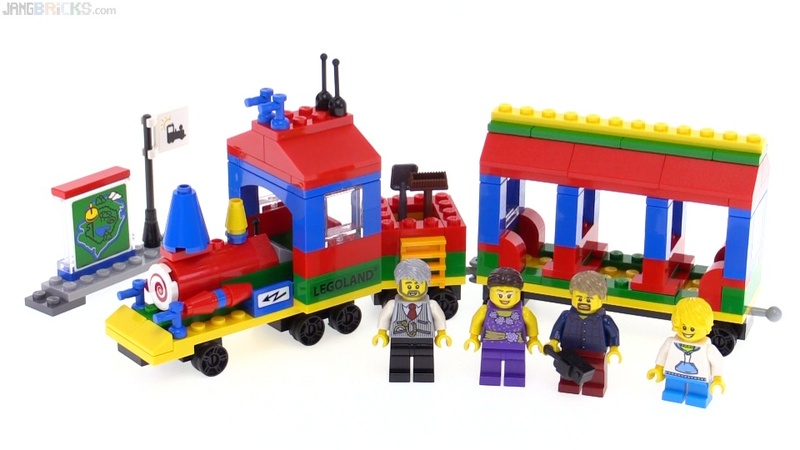 Video: My LEGO parts collection tour 2016! More to come from this room in the coming weeks! 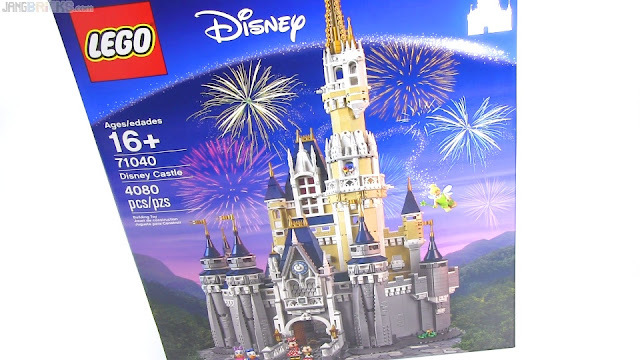 LEGO Disney Castle speed build videos! 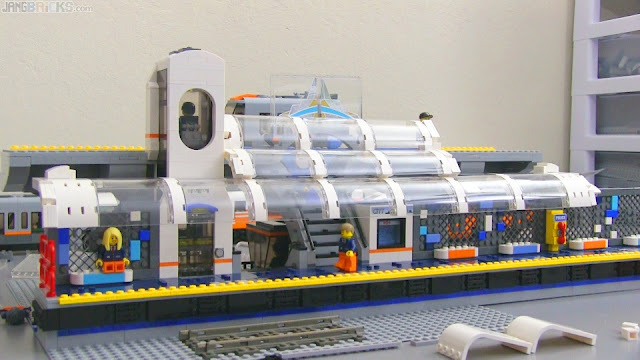 With my last big build (Ghostbusters HQ) I asked which video length you all preferred, 2 or 10 minutes. Responses were evenly split, so again I've done both! 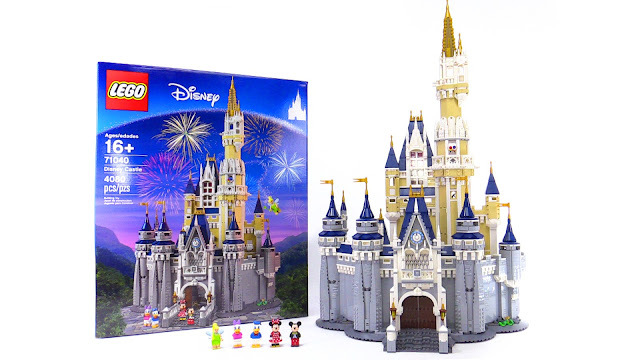 LEGO Disney Castle 2-min. 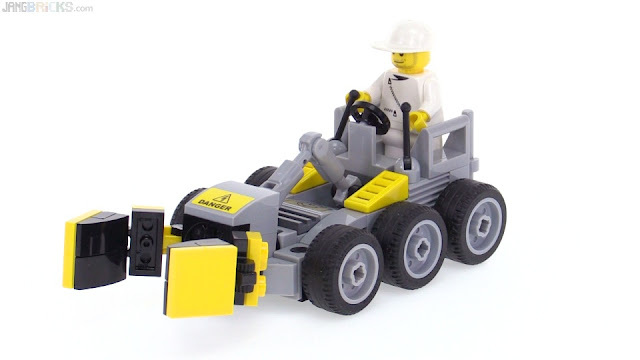 Speedy Build! LEGO Disney Castle 10-min. 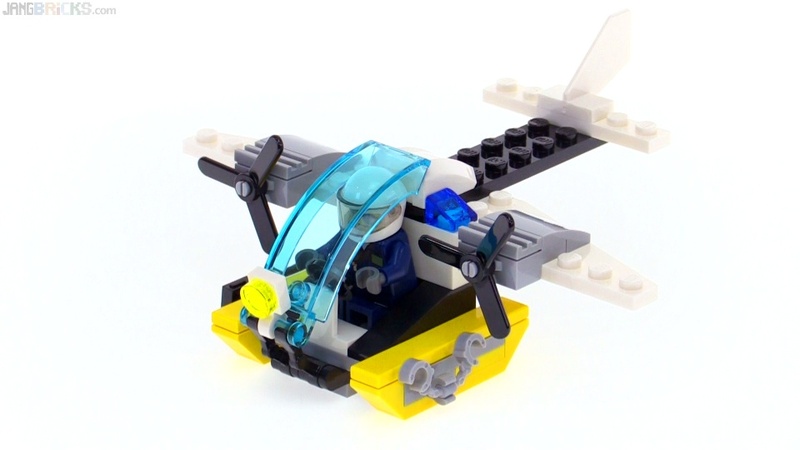 Speedy Build! It's been quite awhile since my last classic LEGO space set review, eh? This here is one that's been on & off my radar for years and I've had it for weeks if not months (I forget how long ago it showed up in a haul video). 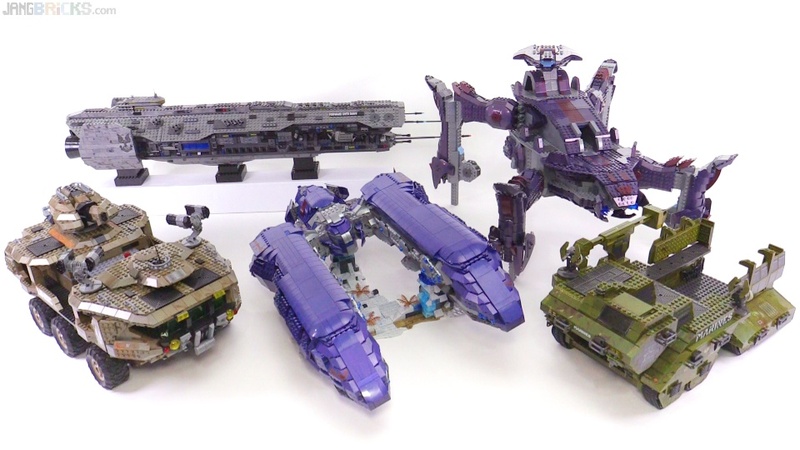 I'm happy to see that all built up, it does not disappoint, and in fact, there's more too it than I expected with numerous movable and/or removable features. 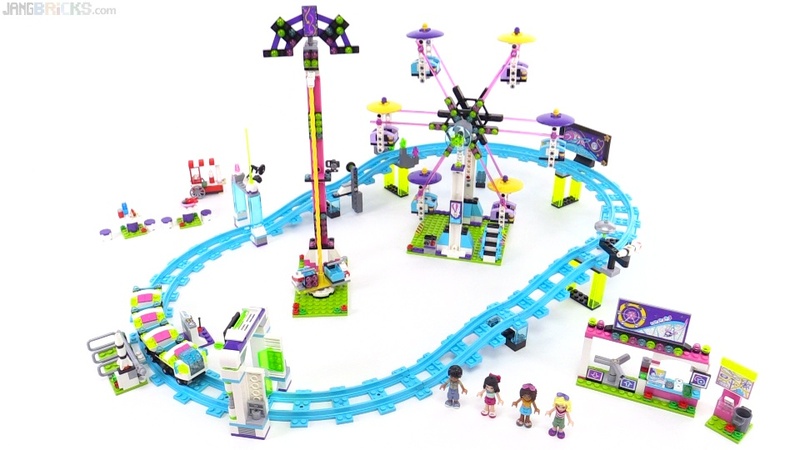 All LEGO Friends Amusement Park sets together! I've been waiting for months to do this, and finally I get to see (and show) all of the LEGO Friends Amusement Park sub-theme sets and their components all laid out together. It needs some extra parts around the edges to make it look more real & grounded, with some fences, trees, benches, etc. Oh, and people, it needs more people! However, I think some of the shots really start to show the liveliness and imaginative potential of the scene. Video: All LEGO Friends Amusement Park sets together! 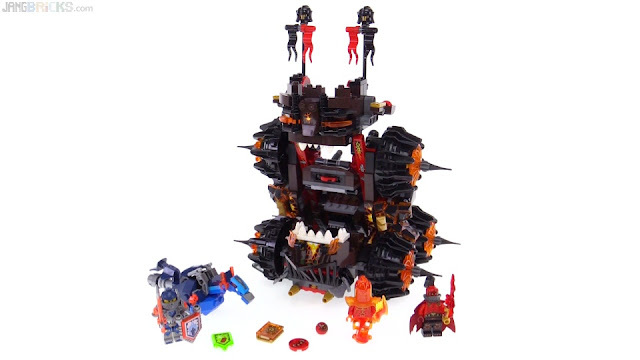 This set has a long name and an interesting design that puts an unusual amount of emphasis on handling it & using its primary action feature. You've seen some progress pics on Instagram, but I figured I should share something in video form for folks who prefer to follow along only on YouTube. Another corner is now nearly complete, with just one to go, and about 3/4ths of the bulk of the latter is in place as well. Unfortunately I'm again nearing a point where I must wait for more parts from Bricklink, but I'll probably switch back over to the train station in the interim to keep the MOC momentum going strong! When the first images were revealed for this wave of Nexo sets, this one here caught my attention more than any of the others (even Jestro's big castle). For some reason, though, I had a really bad feeling that my interest would be rewarded with disappointment in the final product. Whelp, here's the moment of truth. Just one tiny polybag to go before I'm done with yet another entire theme's worth of sets. Hooray for forward momentum! Remember I mentioned you'd be seeing more stuff in this room soon? Didn't have to wait long, did ya?! 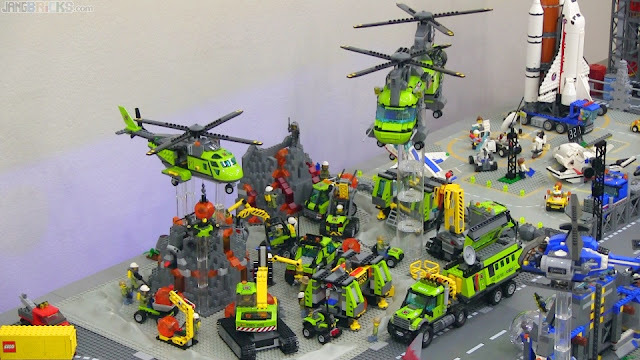 This is just a small temporary display that brings one of every Volcano set together into a compact worksite diorama. 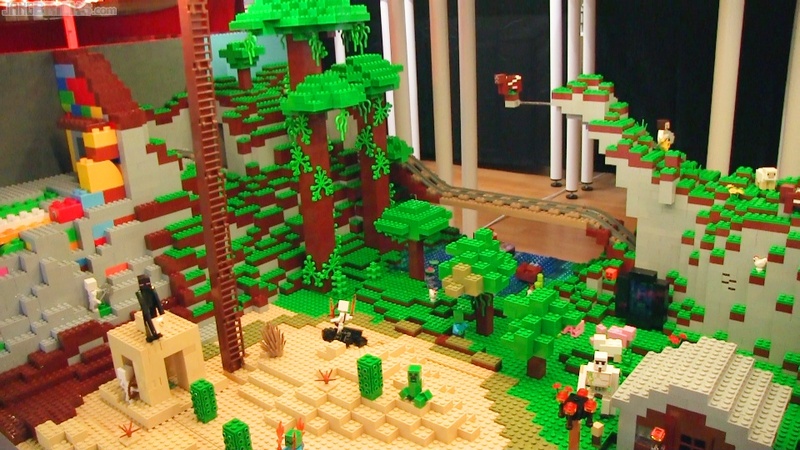 Video: All LEGO City 2016 Volcano sets on display! I first teased it about a month ago, and now it's finally filled up & ready for prime time! I've been making more & more time recently to work on things to be filmed in the big city room, and it feels great. Video: All LEGO Collectible Minifigure Series on display! 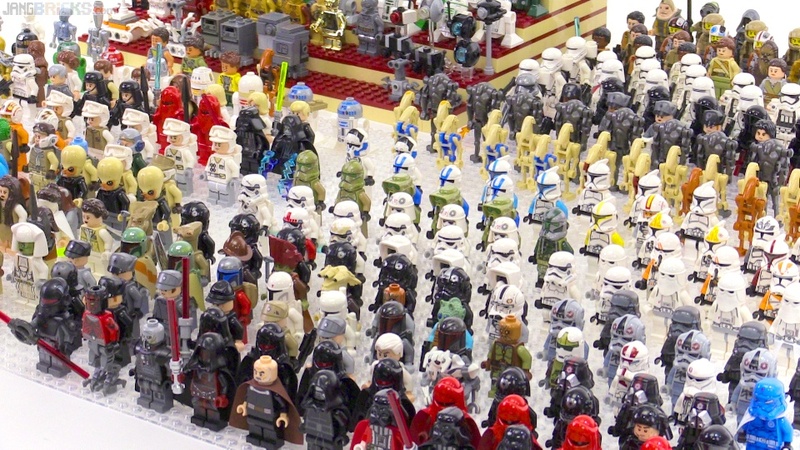 340+ minifigs! Mega Bloks P-51D Mustang CoD Air Combat Ace set review! These keep becoming less & less toys and more & more high-quality replica models. 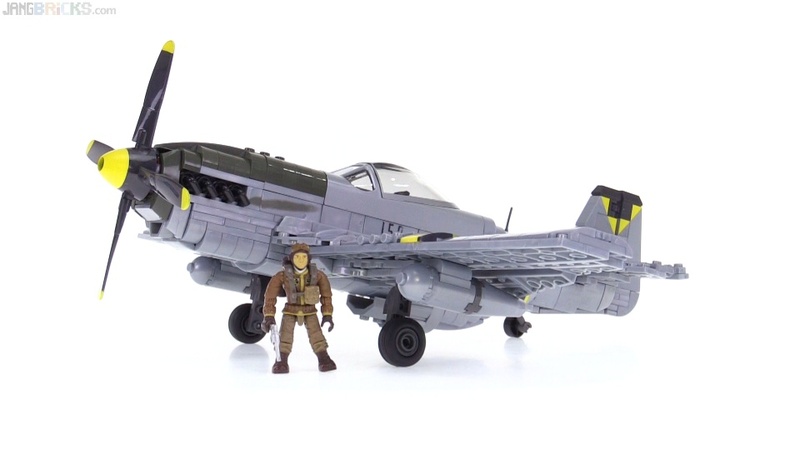 Video: Mega Bloks P-51D Mustang CoD Air Combat Ace set review! 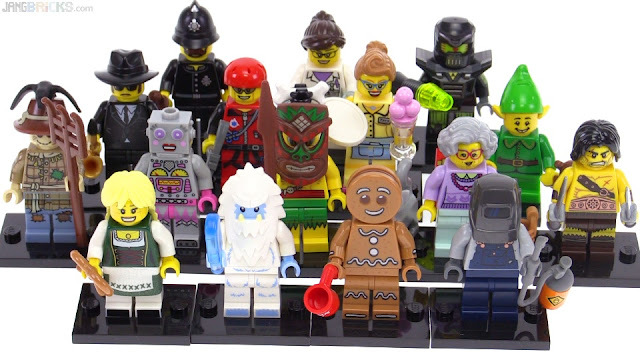 LEGO Series 11 Collectible Minifigures from 2013! 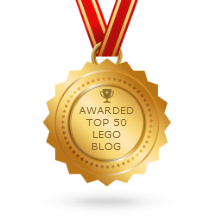 At last, the circle is complete, and I have covered every LEGO CMF series to date*. I had actually done a single video about this set of 16 back in 2013, but instead of a proper review, it was more of a wrap-up after a bunch of a bunch of random pack openings. Video: LEGO Series 11 Collectible Minifigures from 2013! * Except DFB, because I know nothing about the subject matter and my video would be useless to all. New big figure pack in the Mega Bloks Halo line at around the $2 per Spartan range; not bad! 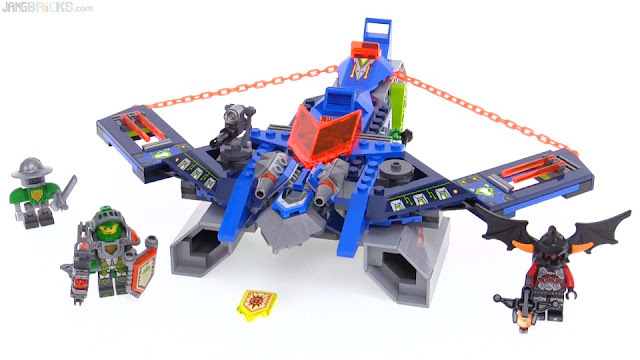 In spite of LEGO's attempts to insert multiple "action features," this set appears to be almost exclusively collector-oriented. Season 2 of the LEGO NEXO Knights TV show is coming up and all of the second wave sets were finally released in North America last week after appearing throughout Europe & Asia a couple months or so before that. We can now finally get the entire knights' team in Ultimate form, and Axl is a (literally) big part of that completion. In today's progress report I get to show a main platform that is now probably over 90% complete! 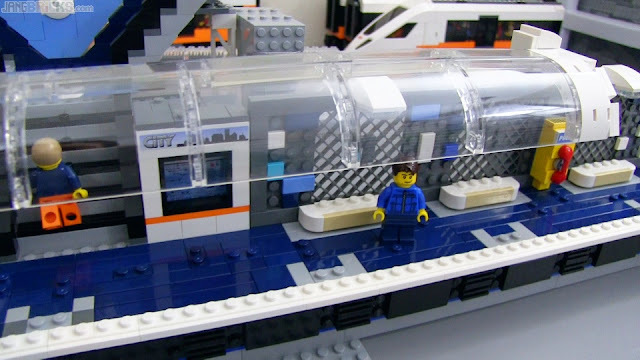 In my very next working session I finally get to set up the elevated 4-wide light rail platform. Ok, real talk here. This set exceeds my expectations. The standard static view from the front isn't at all Earth-shattering, but once the thing is turned sideways it reveals an unexpected amount of volume. 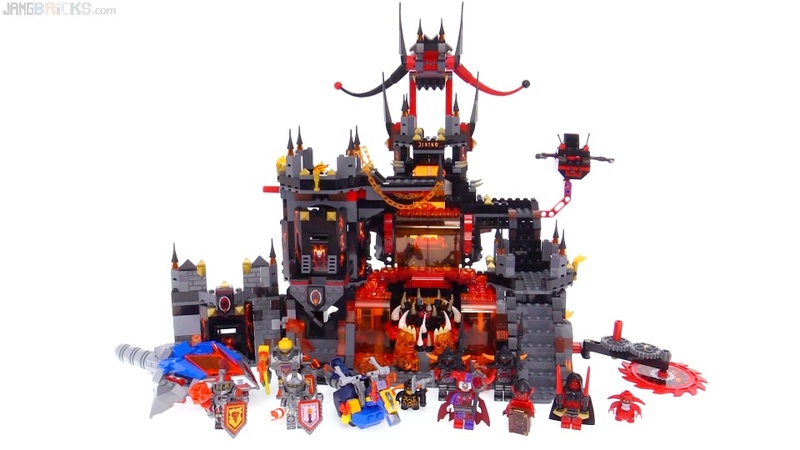 Plus it has walkways, usable walkways, sorely missing in most traditional styled castle sets LEGO has ever made. 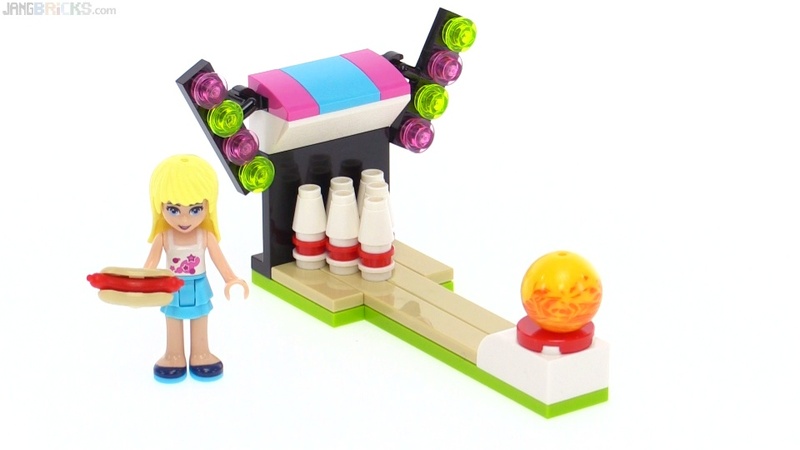 Ten minifigures is nothing to scoff at, though admittedly two are just Scurriers. 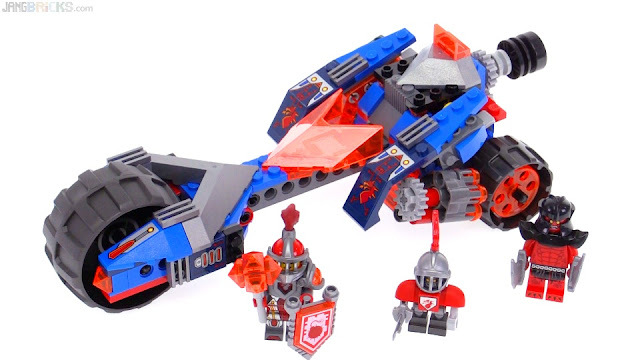 It's just another solid win by the NEXO Knights design team in my opinion. This weird, unlikely mashup theme is actually working out. Season 2 of the TV show starts pretty soon, too! 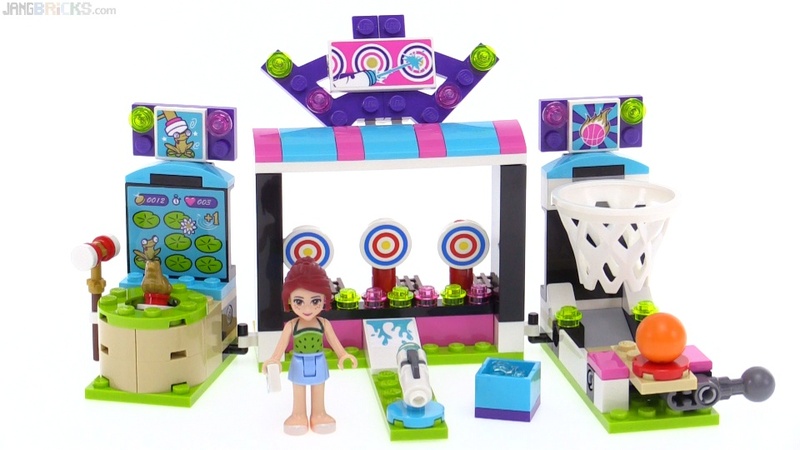 Here's a new promotional set that LEGO started including for free with qualifying purchases beginning August 1st. It's a wonderful gift! 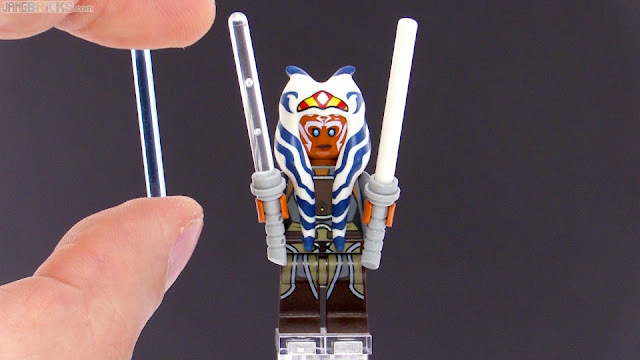 The awesome, but somewhat inaccurate new trans-medium blue color used for the lightsabers of Ahsoka Tano in the Rebel Combat Frigate set drew a lot of criticism, and I think I've gotten down to the source of the confusion and/or error while also demonstrating some other color possibilities. 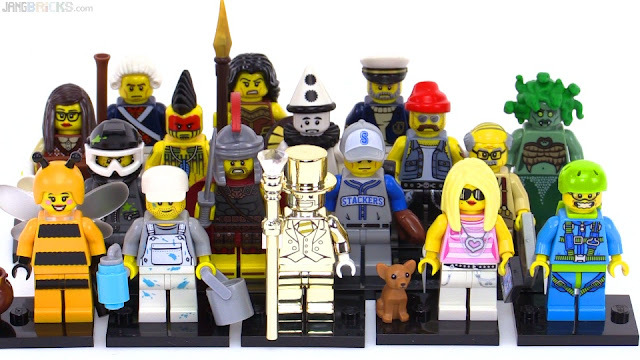 Video: LEGO Series 10 Collectible Minifigures from 2013! Here's a new little vehicle for the interior of my Planetary Defense Force base. 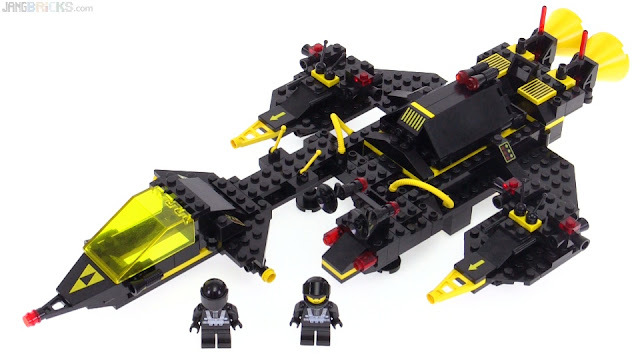 Now I just need to build that Planetary Defense Force base already. 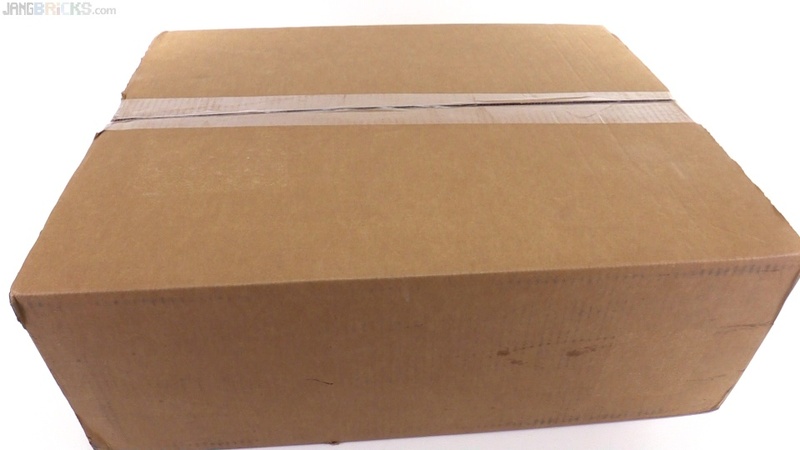 With this block of purchases, I now have the overwhelming majority of this season's remaining products, with just a few small things left to fill in, and of course an infinite number of sets yet to be released. 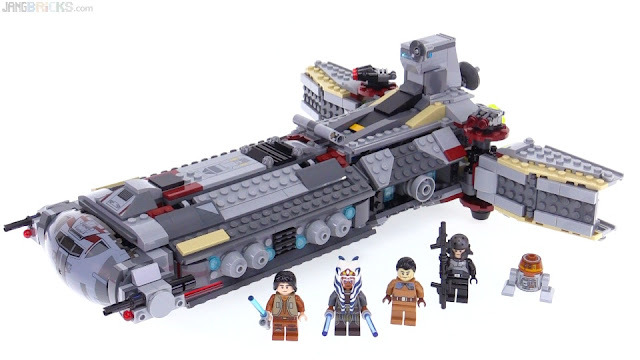 I'm very happy that I've already been able to shift a lot of focus over to the MOC making side of things as historically that transition hasn't occurred until awhile after my last reviews of new sets. I've been waiting months for this one to come around, and it doesn't disappoint with the impressive size of the dragon itself and a lot of imaginative possibilities in the terrain & structure build. Azari's hood is pretty fabulous, too. Hey, look at that, it's release day! 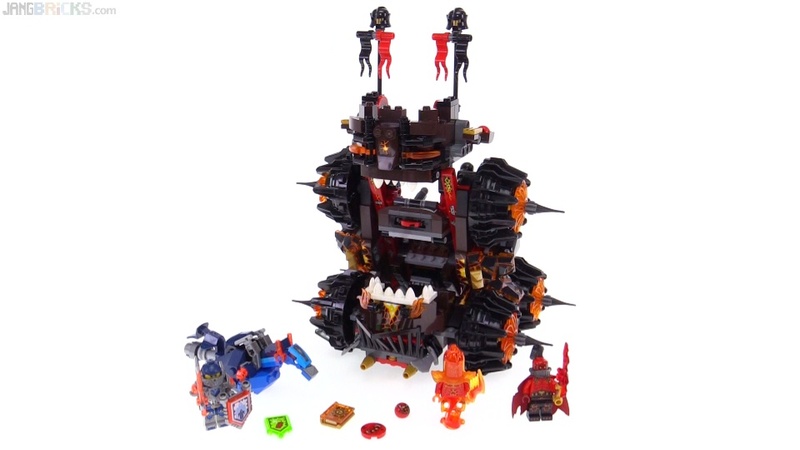 This set has a really solid build and well-implemented action features, but a lot of the small details seem oddly off and the overall size of the thing feels underwhelming for the price. Have a closer look & let me know whether you agree (as always, it's fine if you don't! ).